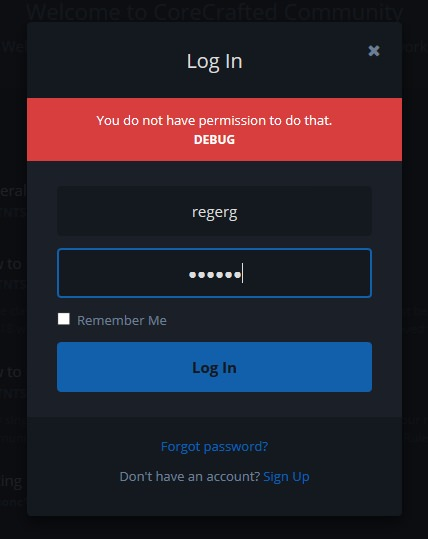 ThisTNTSquid That's because DEBUG mode is enabled, which shows the generic error message for the HTTP status code returned, and let's you see the output, bypassing Flarum's error handling for the login window. Click the DEBUG link and paste in the output here, please. Along with the output of php flarum info executed in your Flarum root folder on your server.